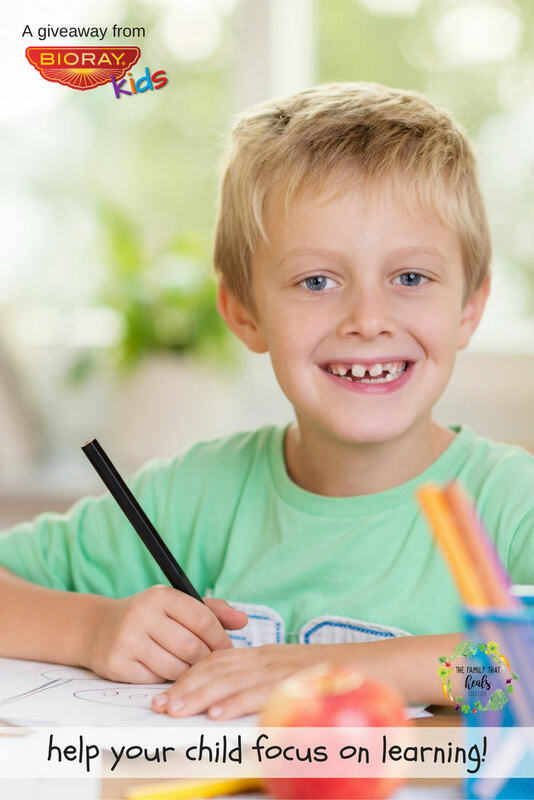 School has been back in full swing for a little while now, just long enough for parents to begin pinpointing any difficulties their children may be having at school. By a month or two in, many parents are pressured to put their fidgety, rambunctious child on medication just so they can make it through the school day. However, if you want to help your child focus on learning, I have a natural solution for you. This post is sponsored by BioRay Kids. Make sure to enter the contest at the bottom to win a free bottle of their amazing product, Focus. I wrote recently about how much a product called “Happy” has helped our son with angry outbursts and helped him to be happier overall. I also told you about all of the wonderful products the maker of Happy has to offer children, including ones that help with anxiety, delayed speech, difficulty sleeping, constipation, and, you guessed it, trouble focusing. Although we’ve come a long ways in helping our boys to sit still long enough to get some school lessons under their belts (we homeschool), and emphasize the importance of play and outside time, our oldest still struggles with restlessness, trouble completing tasks, and problems with sitting still when need be. 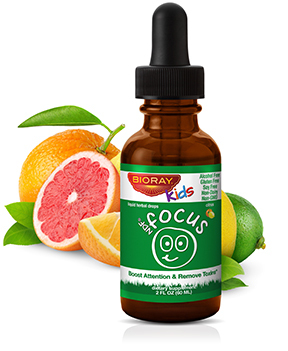 When the folks at BioRay offered to send us a bottle of Focus, we were thrilled to give it a try. After all, we’ve been so impressed with all of the other BioRay products we’ve tried, so adding in another beneficial product was a no-brainer, which is kind of funny to say, because it does, in fact, nourish the brain. The BioRay Kid’s line addresses one thing, above all else: helping kids’ bodies clear the toxins they’re exposed to on a daily basis. Even when we eat well, filter our water, and use safe products in our homes, there is so much we can’t control, including the air we breathe. “Toxins block our children’s ability to absorb nutrients and affect their behavior, health and ability to learn. The organs that these toxins impact the most are the liver, the gastrointestinal tract, the adrenals, the brain (mind) and colon. The BioRay Kids line addresses this toxicity by putting their signature NDF® (Natural Detox Factors) formula in each bottle. This special chlorella sticks to heavy metals, chemicals, and pesticides and carries them safely out of the body. Do these ingredients sound like they would address the needs of a child finding it difficult to focus on learning? I recently made the astounding discovery that my child with behavioral difficulties needs adrenal support. I don’t know why it took me so long to make that connection, considering I’ve suffered from severe adrenal fatigue myself (read how I recovered here). Some of the symptoms of adrenal fatigue include difficulty concentrating and mood swings, which are also some of the problems children with hyperactivity disorders deal with. When I considered how my own symptom might be manifesting in my child, it all made sense. 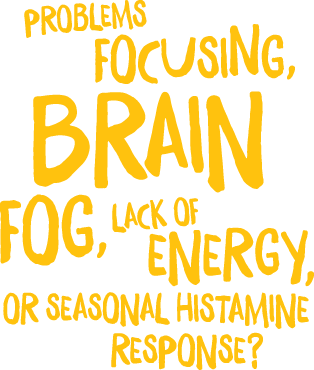 The adrenal supporting herbs in Focus are crucial. Not only that, but keeping a child’s body free from toxins, as well as keeping his gut flora happy, contribute to a happier, clearer-thinking, more focused child. If I’ve said it once, I’ve said it a hundred times: when we address the underlying conditions, children’s behavior improves! 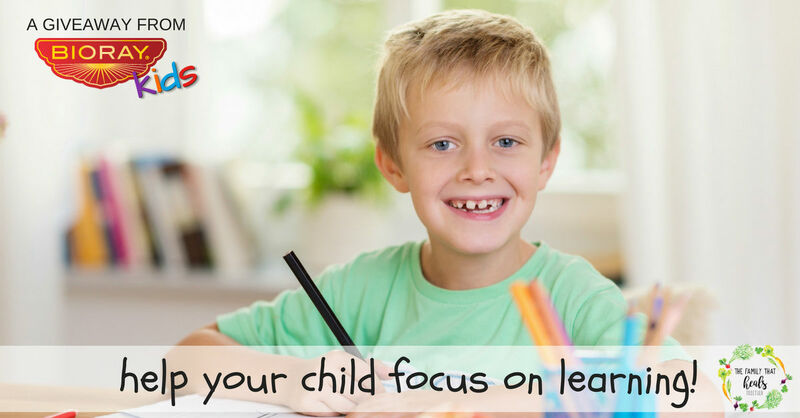 If you think your child would benefit from trying Focus, you can get it here. Make sure to follow BioRay Kids on Facebook, Twitter, and Instagram to keep up to date with sales. Do you think this product will help your child focus on learning? Make sure to share via one of our links for other parents who may be struggling with a child having trouble focusing. This would be nice if it works, however, I’ve tried quite a few products that claim they help and nothing really seems to work plus it is too nasty in taste or the pills are too hard for my grandson to swallow. I’m looking forward to a free trial and if it helps would absolutely purchase. Thank you. Just wanted to give you my experience with Bioray kids formulas because I only heard of them because of your blog! So we have used both “Happy” and “Focus”. Happy has worked wonders (also eliminated corn per your recommendation). 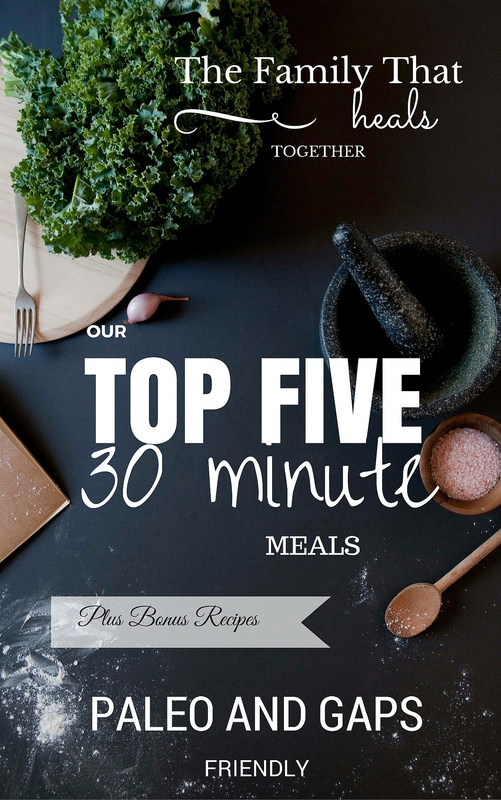 We notice a difference in half a day if we run out and when we get it back. Our 11-year old has ODD and ADD. This seriously brings out the sweetest part of him, consistently. We also notice a similar pattern with corn – if he has corn we have aggression issues for days. As far as the Focus goes, at first I thought it wasn’t doing anything. Then I decided to double the dose (two droppers, twice a day) and we did notice improvement then. It was mild improvement and I’m not sure the benefit outweighs the cost at double dosing but it also took quite a while to have an effect and and seems to last for a couple weeks when we have run out. In contrast to Happy which works/stops working immediately. We will probably give Focus a 4-month consistent trial at the double dose to really assess the impact when school starts up again. Out of all the supplements we’ve tried (lots), Happy has made the biggest improvement in our lives.